Starting with Russia and South East Asia in our shared mobility by region coverage, we are now moving on to take a closer look at the shared mobility offerings in the Middle East. The Middle East is home to many cities with vast innovation and infrastructure that is ripe for shared mobility integrations, and this region is considered to be pioneering some more futuristic forms of travel such as autonomous and electric vehicles. While the ridesharing industry might be lacking in the Middle East, due to the illegal nature of carpooling in countries like the UAE, other forms of shared mobility like carsharing, peer-to-peer, and ridehailing are alive and bustling. Read on to learn more about Middle East shared mobility. The Middle East is host to many options in carsharing, both station-based and free-floating models. Having launched in 2016 as a pay-by-the-hour car hire service, Ekar was the pioneer as the Middle East’s first shared mobility option of its kind. movmi worked with EKar to setup and launch their entire operations, including the commercial launch for the cabin crew members working for Ethiad or Emirates airlines. Read more about our work with Ekar here. 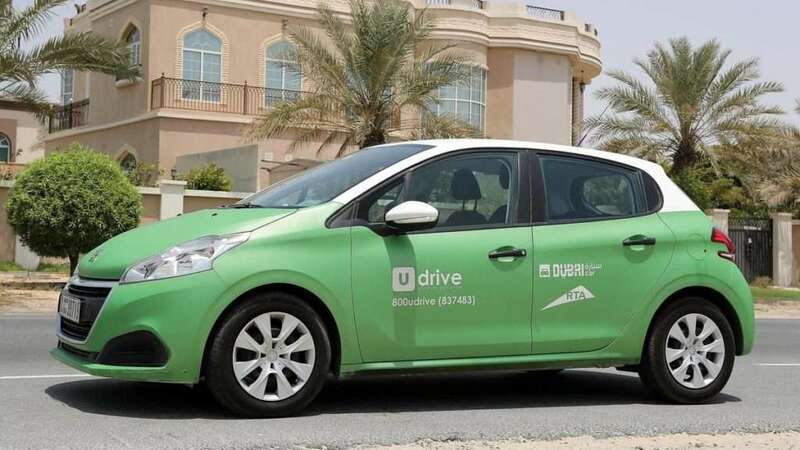 In early 2017, Ekar and its competitor Udrive won contracts with Dubai’s Road and Transport Authority to implement their pay per minute carsharing service, and initially launched with a fleet of 100 cars each. Ekar is now expanding their fleet with an additional 100 cars of a higher calibre than their original Nissan Tiidas, and today their fleet consists of luxury vehicles such as Mini Cooper, VW Jetta, and Infiniti Q50. In Dubai, Udrive claims to have a market share of around 70% with a current fleet of 400 vehicles; the company has had 150,000 trips and more than 100,000 hours of usage since January of 2017. YOYO is an hourly and daily carsharing program in Istanbul, Turkey. In 2017, it was announced that leading telecom innovator, Zain Group, formed a joint venture with YOYO to bring a carsharing club model to Bahrain with plans to expand across the MENA region. In 2015, Zipcar entered the Turkish market in Istanbul with Otokoç Automotive, a car rental service for the past 41 years. Other competitors in Istanbul include Mobilizm, founded in 2011, which was the first free-floating carsharing company in Turkey which now has a fleet of 60 cars and 4,000 members. Mobicar, founded in 2013, has 41 cars and 3,500 members. In Israel, a different Car2Go (not connected with Daimler) carsharing platform launched in 2008 as a station-based shared mobility option and is now operating in 11 cities in Israel with 500 roundtrip cars. They are the only operator in the world with all of the carsharing models, including station based, corporate, one-way and P2P. Car2Go in partnership with Renault and Haifa municipality, now has a new electric carsharing service in Haifa and Netania, and Krayot is about to launch, bringing the fleet to 270 Renault Zoe vehicles with 810 parking spots and 160 charging stations. Each of Car2Go’s offerings is powered by GoTo technology. Additionally, the Tel Aviv Municipality launched their own free-floating carsharing service in 2017 called AutoTel, with a total of 260 cars and 500+ parking spots around the city. Peer-to-peer carsharing schemes that operate between private vehicle owners and the public are not as popular in the Middle East. However, Turo, the San Francisco based peer-to-peer carsharing app, has launched in Tel Aviv, Israel allowing car owners to make passive income from their unused vehicles by renting them through the platform to their neighbours and those in their community and thereby pushing the innovation of shared mobility in the region further forward. Car2Go also operates peer to peer carsharing called MyCar2Go. Cost, congestion, and pollution are several reasons why the younger generations in the Middle East are turning to alternative methods of transportation like ridehailing. Fuel subsidy-cuts in countries like Egypt have made it even more expensive to own a car, driving up demand for alternative shared mobility options. Careem is the leading ridehailing app in MENA, Pakistan and Turkey, operating in over 100 cities and 14 countries. 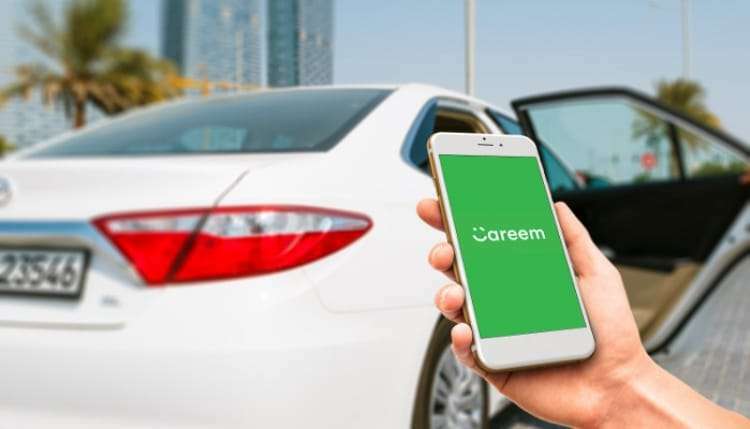 Careem launched services in Abu Dhabi in May of 2018 with 300 economy cars in an effort to tap into new market potential offered by the area at a cheaper price point. In 2017, Careem raised $150 million in funding, closing out a $500 million Series E round. Careem’s Co-Founder and CEO says that the funding brings their valuation to $1 billion. We interviewed Hadeer Shalaby, Director of New Categories at Careem, about her thoughts on shared mobility here. While ridehailing giants like Careem are soaring, differences in ridehailing in the Middle East do exist, with the lack of the shared option, as carpooling is banned in areas like the UAE to deter members of the public from becoming a victim. “There are a number of threats associated with using an unlicensed taxi, which include sexual harassment, theft, fraud, quarrels, and the driver may also be in violation of residency laws,” said Brig Al Zaabi. And even as ridehailing popularity continues to climb around the globe and is expected to do more of the same, Israel – a country known for its innovation in technology – has ruled against Uber entering and operating in the country, meaning its citizens will be going without ridehailing for the foreseeable future and paying more for transportation. Bikesharing, while not the leading form of shared mobility in the Middle East, has also made a footprint in many of the region’s bustling city centers. Initiated in 2009, Istanbul’s Metropolitan Municipality İSPARK launched a bikesharing service called İSBIKE with 142 bike rental stations across the city and a 144-kilometer smart bike track. In 2013, Byky, a station-based bikeshare program (operated by by the German firm NextBike) launched in Dubai. 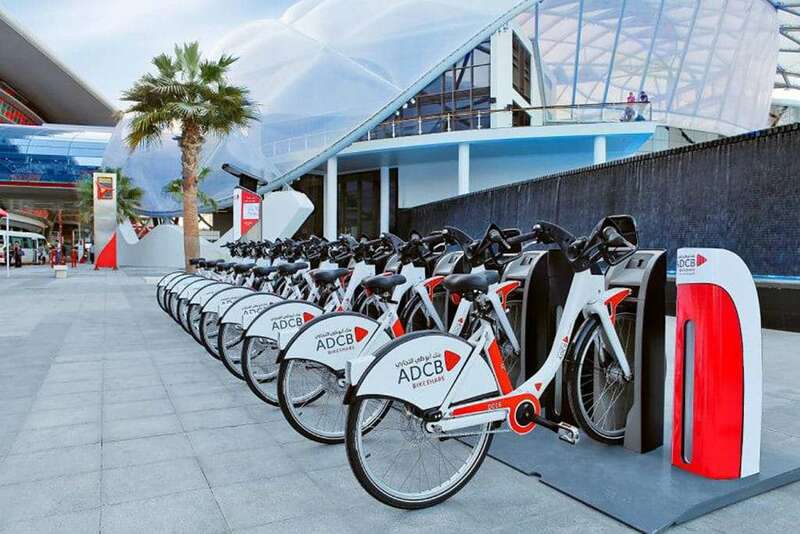 ADCB bikesharing is another station-based bikeshare in Abu Dhabi; their partnership with Cyacle was expanded in 2017 and now provides 164 bicycles across 28 locations. In addition to traditional shared mobility options, the Middle East also has some unique shared mobility offerings – such as mopeds, boats, and electric scooters. Careem Scooter is available in Cairo, allowing riders to choose between a bike or various types of ridehailing vehicles. In the bustling, congested centre of Egypt, scooters help to avoid the usual delays caused by traffic, delivering passengers to their destinations at a fraction of the time and cost as a vehicle would. Careem runs about 2,000 scooter trips every day. Uber first arrived in Egypt in 2014 and has been growing rapidly ever since. 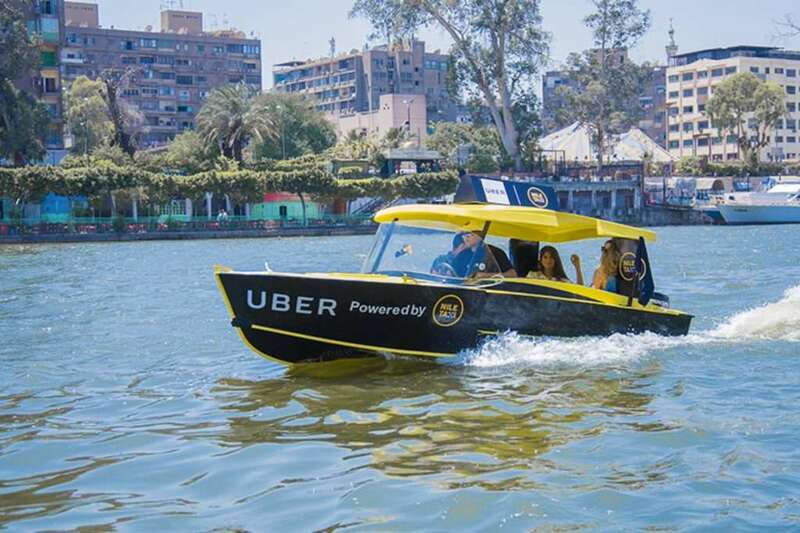 In the summer of 2017, Uber launched its commuter boat service providing a new form of shared transportation up and down the Nile River to bypass congested streets and car fumes. While UberBOAT is a seasonal service during the summer, the company may be starting a year-round bus service in Cairo. In addition, California-based scooter company, Qwikly, is launching a standing-electric scooter shared platform to Dubai this month, November of 2018, focusing on shorter-distance travel of 1-3 kms. This shared micro mobility option will be focused in city centers and campuses in the MENA region, Asia and Europe. Authorities predict that the Qwikly scooters will provide a first and last mile mobility option for people to get to and from the bus or metro station. The Middle East is a region with many progressive, futuristic cities like Dubai, where skyscrapers stand the tallest and infrastructure is just as beautiful as it is efficient. Like all major cities around the world, Middle Eastern cities still face the challenge of integrating the infrastructure needs for autonomous vehicles with what is already existing with current mobility offerings. In a recent study by KPMG on global preparedness for Autonomous Vehicles, United Arab Emirates ranked number 7, with high rankings in the policy and legislation and infrastructure categories. Based on infrastructure, UAE had the highest ratings of all 20 countries included in the study, based on road quality and technology infrastructure. However, UAE lacks AV technology company headquarters, patents or investments, which brings its rating down based on technology and innovation. Naturally Dubai, as a modern and innovative city, is a host to autonomous vehicle pilots. The first autonomous taxi in the region was unveiled at GITEX 2018 in Dubai, which is a robotaxi with cameras and sensors that interpret road conditions and have full control of the vehicle. As a part of the clean energy project, Masdar City in the United Arab Emirates also unveiled its autonomous shuttle, which has the capability of transporting up to 12 passengers. Designed by NAVYA, this AV is a self-driven electric vehicle with a top speed of 25 kilometres per hour. 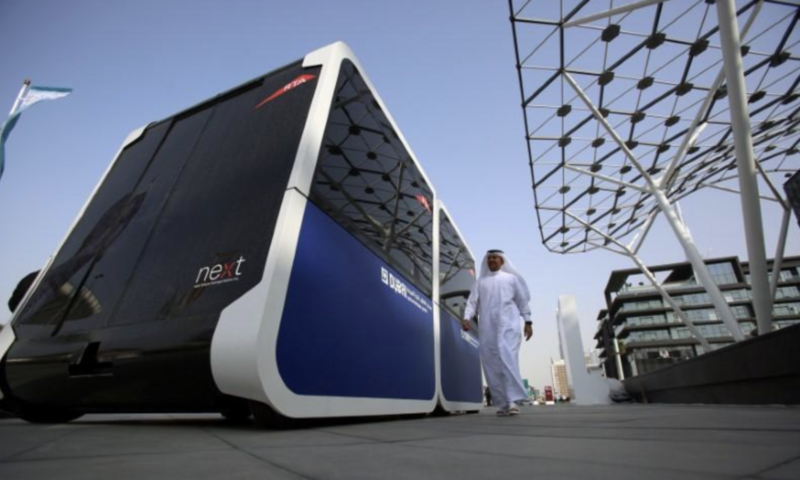 In 2019, a fleet of seven autonomous shuttles are expected to expand the implementation of Masdar City’s wider transportation strategy. As of March, 2018, Dubai has also begun testing autonomous pods in the hopes that this form of transportation will transform Dubai into one of the smartest cities in the world. The cube-shaped AV pods built by Next Future Transportation, a US-based company, are powered by electricity, seat six passengers, and have a top speed of 80 kms/hour. As it appears, AV testing will only continue to climb in the Middle East in the coming years. It was recently announced by Volkswagen that it will be testing their electric self-driving vehicles in Israel as early as 2019. 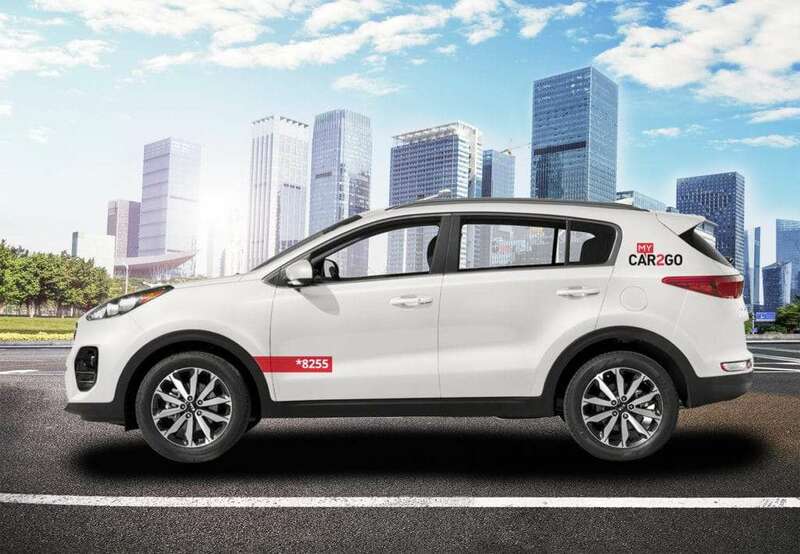 In partnership with Intel’s Mobileye and Champion Motors, the three will operate under the name ‘New Mobility in Israel’, working towards the ultimate goal of launching the first autonomous electric ridehailing service in the country. Is there another region you’d like to see covered in our Shared Mobility by Region series? We will be sharing one article every month covering a new region, and would love to hear your feedback and input here.